If you spend enough time involved in the fight to maintain the separation of the church and state, you tend to see the same arguments from theists used over and over. Even though the arguments have been refuted over and over, they still use them and act like it is a way to get a checkmate against real religious freedom. One such argument is believing if only religion were put back into the schools all the problems in the world will disappear. The reality is much much different. This entry was posted in Entanglement, Myths, Religious Intolerance and tagged 1st amendment, church and state, public schools, religious freedom, religious fundamentalism on April 26, 2014 by Doug. 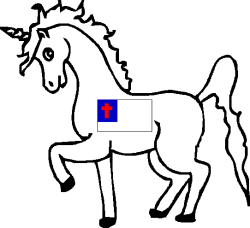 Last we left the Springboro Ohio Community Schools, they were trying to force all kinds of right wing subjects into the school curriculum including creationism and the latest clap trap from Glenn Beck. The ACLU naturally sent a letter threatening a lawsuit. The religious cult on the school board decided to get advice from infamous school teacher John Freshwater and will be bringing in a Christian law firm that is known for supporting 1st amendment religious violations. This entry was posted in Anti-science, Entanglement, Politics, Religious Intolerance and tagged controversial issues, creationism, Evolution, John Freshwater, Liberty Institute, public schools, religious fundamentalism, science education, Springboro Community City School District on August 10, 2013 by Doug. Some religious zealots are so hell bent to force their religion onto public school students that they will try to camouflage the attempt by trying to create a "controversial issues" policy. 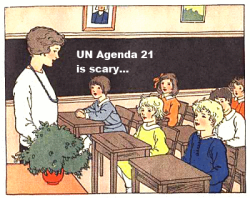 They include their religious beliefs with other so-called "controversial issues" like global warming and climate change, UN Agenda 21 and sustainable development. 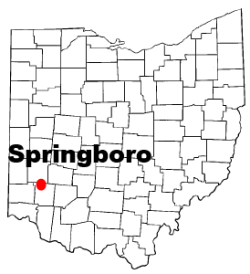 This isn’t the first time that Springboro Ohio Community City School District has tried to give up teaching subjects students need to function in the world today. Luckily there are some concerned parents and community members who won’t let this happen without a fight. This entry was posted in Anti-science, Entanglement, Politics, Religious Intolerance and tagged controversial issues, creationism, Evolution, public schools, religious fundamentalism, science education, Springboro Community City School District on May 29, 2013 by Doug. Here in the US, we take for granted that the worse thing expected by speaking out against the religious right is name calling, verbal threats, and maybe some vandalism. It’s easy for us to imagine not risking our life just for speaking out because it rarely happens. 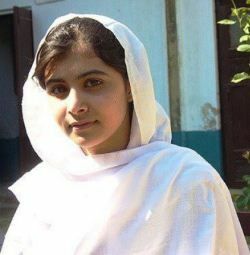 Malala Yousufzai, a Pakistani girl who spoke out against the Taliban when they closed her school in 2009, was shot in the head by the Taliban in an attempt to assassinate her. This entry was posted in Politics, Religious Intolerance and tagged Afghanistan, assassination, Islam, Malala Yousufzai, Pakistan, religious based terrorism, religious dissent, religious fundamentalism, religious persecution, Taliban, women's rights on October 10, 2012 by Doug.